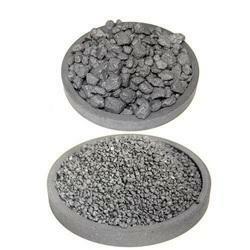 Manufacturer of a wide range of products which include graphite granules. We are one of the leading manufacturer and exporter of Graphite Granules mainly used in metallurgy industry as carbon raisers, reducer, foundry modifier, fireproof etc. This range of products is offered in various specifications to optimize the satisfaction level of our highly respected customers. The offered array of graphite granules is widely appreciated among the clients for their high carbon content and low sulphur. Looking for Graphite Granules ?